It’s summer and it’s hot in New Orleans. The right window coverings can help you save money on your electric bill by keeping some of that heat out of your home. Intense sunlight can also damage your furniture. In order to prevent your sofa or carpet from being “bleached” by the sun, it is best to keep the intense rays out. Of course, now the question is: which window treatments are right for you? Helm Paint & Decorating offers a wide variety of window coverings. You just need to decide whether you prefer shades, blinds or shutters. Blinds are window coverings that have slats that can be raised and lowered letting you decide how much sunlight can get into the room. 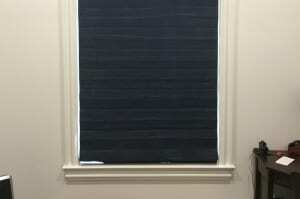 Helm Decorating offers horizontal or vertical blinds in faux and real wood. A shade is either open, exposing the window letting in a lot of light or closed, covering the window and keeping all the light out. At Helm Decorating you can find cellular, layered or pleated shades among others. 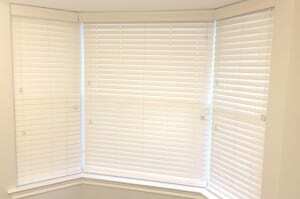 A shutter is a solid covering, often with slats that you can open and close letting in varying degrees of light. At Helm Decorating you can choose between wood and composite shutters. 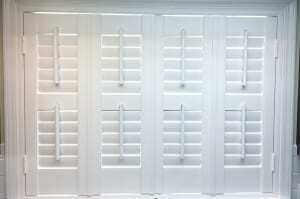 There you’ll also find energy efficient shutters.